Wow, super generous! With $250 I would buy some new clothes and go on a date with my gorgeous husband!!! I would finally buy the extra things on our wish list for our school room like a microscope! I would bless my children and hubby with things they really need! I would love this, we are on a tight budget this year and this would make our Christmas! 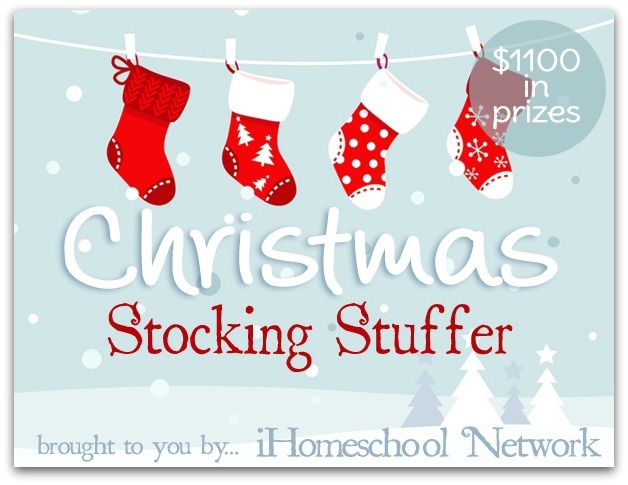 I would turn our home school wishlist in to a home school Christmas-dream come true. Wow, as a missionary family, there are so many potential answers to this question! But since I'd be winning it for homeschool purposes, I would use the $250 to get the "if only we had the $$" items on my curriculum list, as well as a few organizational tools. I would actually spend it on our adopted family fro Christmas making their's a little brighter. We would love $250 to put toward finishing our basement. Thanks for the giveaway! I would put the money towards our holiday grocery bill. Our food budget always gets seriously stretched (like torture stretched. On a medieval rack, stretched. Like Mrs. Incredible's arms, stretched. Like, okay you get the idea). There's a gentleman at our church who is really struggling financially and we'd like to have him over for meals during the holidays, and bless him with some groceries, too. My husband's shower door is being held closed by a clamp, so I would love to have it replaced for him! I would put it toward college costs.